I FEEL I NEEDED TO COVER ABOUT DIABETES BECAUSE THERE ARE MILLIONS OF AMERICANS WHO SUFFER WITH THIS ILLNESS. THE PHARMACY PRETTY MUCH DISPENSE DIABETIC MEDICATIONS VERY OFTEN SO WHY NOT LEARN ABOUT DIABETES. IT WILL GIVE US A CLEAR POINT OF VIEW ON HOW THESE PATIENTS SUFFER AND GET A BETTER UNDERSTANDING WHY WE FILL THESE TYPE OF MEDICATIONS. WHAT IS DIABETES (DIABETES MELLITUS) ? Diabetes is a condition in which a person has a high blood sugar (glucose) level as a result of the body either not producing enough insulin, or because body cells do not properly to the insulin that is produced. Insulin is a hormone that's secreted by your pancreas that causes cells in the liver, muscle, and fat tissue to take up glucose from the blood, storing it as glucogen in the liver and muscle, and also stopping use of fat as an energy source. WHAT IS THE PANCREAS ? 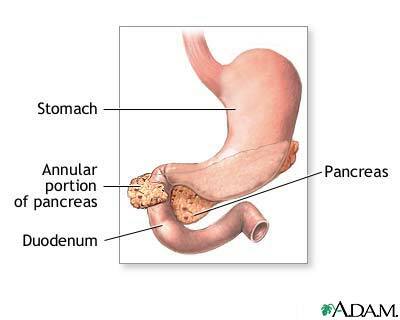 The pancreas is gland organ located behind the stomach in which it secretes a fluid to help with food digestion and also the hormone insulin in which it helps the body process glucose (sugar). GESTATIONAL DIABETES (GD): ONLY SUFFERED BY PREGNANT WOMEN. A WOMAN BLOOD SUGAR IS HIGHER THAN NORMAL BECAUSE OF THE HORMONES PRODUCED DURING PREGNANCY. GESTATIONAL DIABETES OCCURS DURING THE 24TH TO 28TH WEEKS OF PREGNANCY. SOMETIMES IT GOES AWAY WHEN BABY IS BORN. WOMEN WITH GD USUALLY DO NOT HAVE AN INCREASED RISK OF HAVING A BABY WITH BIRTH DEFECTS. GENERALLY THEY WOULD HAVE NORMAL BLOOD SUGAR LEVELS DURING THE CRITICAL FIRST STAGES OF PREGNANCY. TYPE 1: (INSULIN-DEPENDENT DIABETES MELLITUS / JUVENILE) PEOPLE WITH TYPE 1 DIABETES REQUIRES TO USE INSULIN LEADING TO POKE THEMSELVES VERY OFTEN. USUALLY OCCURS BEFORE AGE 20. TYPE 2: (NON-INSULIN DEPENDENT DIABETES MELLITUS / ADULT) PEOPLE WITH TYPE 2 DIABETES REQUIRE TO TAKE MEDICATION TO STABILIZE. BY EATING HEALTHY AND EXERCISING PEOPLE CAN LIVE WITHOUT TYPE 2 DIABETES MEDICATIONS. USUALLY OCCURS BEFORE AND AFTER AGE 40. WHEN EATING, YOUR BODY BREAKS DOWN FOOD INTO SUGAR. SUGAR IS THE USE AS A SOURCE OF ENERGY. SUGAR TRAVELS TO BLOOD STREAM TO REACH CELLS IN BODY. SENSING YOU HAVE ATE, THE PANCREAS RELEASES INSULIN, INSULIN TAKES SUGAR FROM BLOOD INTO YOUR BODY CELLS TO BE USE FOR ENERGY. THIS ENERGY SUPPORTS FUNCTIONS OF YOUR BODY TO STAY ALIVE. IF YOU FEEL SYMPTOMS OF HYPOGLYCEMIA EAT SOMETHING SMALL AND CHECK YOUR GLUCOSE AFTER 15 MIN.